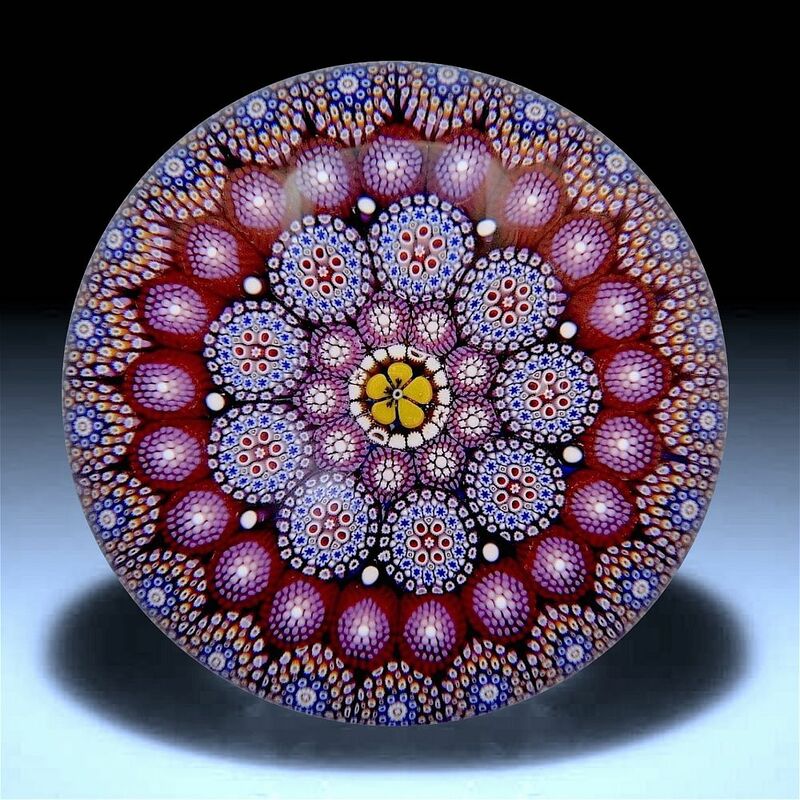 This unique paperweight was made by Mike Hunter for Twists Glass in 2013. Scratch signed "M Hunter Twists" 1of 1" this close-packed multiple complex millefiori cane paperweight is in varying colours of purple and has a central yellow pansy cane. It has Mike's mini personal cane ("MH") in the centre of the base.